Will The Stock Market End 2018 With A Loss? As the market has turned negative for the year and as 2018 is coming to an end, will the market rally back into the positive territory to end 2018 on a positive note? Since I do not have a crystal ball or some magic power to predict the future, I will resort to my technical analysis skills in an attempt to extract what the market might do in the near future. With that said, let’s do it. Starting off looking at the DJT index to see if there are any signal from the Dow Theory, and the answer is no. Next, looking at the daily chart, I see the price has broken the support level near 9757 and dropped into the Fibonacci retracement zone (shared area between 38.2% - 61.8%) to the 50% range. In addition, the price has also reached the 141% of the near term Fibonacci extension. 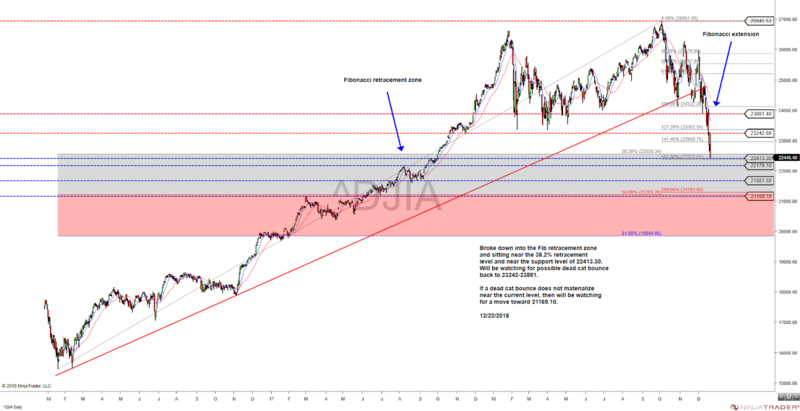 The 50% retracement and the 141% extension provided a confluent that could trigger a dead cat bounce back to the region between 9420-9757. If a countertrend-rally does not occur near this confluent then I will be watching for support near the 161% extension or the 61.8% retracement near 8600-8400. If neither of these scenarios play out, then the key level to watch will be 8171.93. To continue my analysis, I will turn to the DJIA to see what it might do. First it also has retracement into the Fibonacci retracement zone. Unlike the DJT, it only retraced to the 38.2% level and appears to have tagged a support level near 22413. Furthermore, it has reached the 161% of the near term Fibonacci extension. 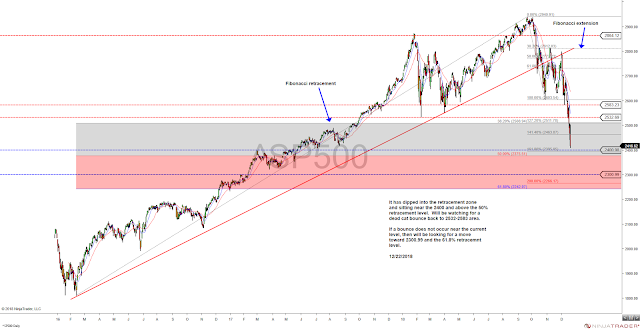 Similarly to the DJT, the Fibonacci retracement and extension are in confluent and could provide the trigger for a dead cat bounce near the current level back to 23242-23881 range. Alternatively, if a bounce does not occur at the current level, then I will be watching for possible bounce off any one of these potential support levels; 22179, 21681, and 21169. The 21169 level is a key level to watch as it is in confluent with the 200% Fibonacci extension and 50% of the Fibonacci retracement. From the two Dow indexes; the transportations and the industrials, we see the possibility of a dead cat bounce in the near future back to the levels where these indexes have broken down from. Moving onto the SP500 (SPX), it too has moved into the Fibonacci retracement zone and near the 50% level. Also it is near the 161.8% near term Fibonacci extension and getting close to a potential support level near 2400. Similar to the DJIA and the DJT, a confluent around these levels could trigger a dead cat bounce back to the 2532-2583 area. If the countertrend-rally does not show up here, then I will be watching for a move toward the 61.8% retracement level and the potential support level near 2300 for possible support. 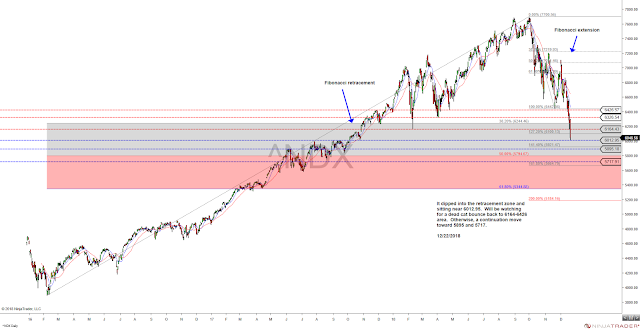 Turning to the tech dominated index, the Nasdaq 100 (NDX), it also show the price has dipped into the retracement zone, but not sitting near any of the retracement levels. It is currently sitting in between the 38.2% and the 50% retracement level, and near the potential support level of 6012.95. For the Fibonacci extension, it is sitting in between the 127% and the 141%. Unlike the DJT, DJIA and the SPX, the NDX does not have any confluent at work. Instead, it appears to be respecting the prior support turned into resistance levels. Therefore, I will be watching for this index to make incremental move back to the resistance levels above current price if a dead cat bounce appears. Otherwise, I will be looking for it to continue to move lower and test the potential support levels near 5895 and 5717. Finally, looking at the small cap, the Russell 2000 index (RUT). The RUT has dipped below the 50% Fibonacci retracement level and sitting right above the 161% extension. It too could experience a dead cat bounce from the current level back toward the 38.2% retracement near 1436 and 1459. If it doesn’t bounce at the current level, then I will be looking for a possible bounce off the 61.8% retracement near the 1263.5 support level. Otherwise, the key level to watch is 1190.20 near the 200% Fibonacci extension. There you have it. The indexes are all near a potential countertrend-rally level. Whether the indexes will bounce or not off these levels, the trend is biased on the downside. Until some stabilities have been re-established, I will continue to be on the cautious side. I know the recent selloff is not very pleasant for most, including myself. We all have experience some degree of drawdraw, especially in our long term account. But like everything, all things will past, including this selloff. Just be careful, be patient, and enjoy the holidays. You can watch the video version of this analysis on my YouTube channel by clicking here, and if you are not a subscriber, click on the subscribe button on my video or this link to subscribe. If you have any questions, comments and/or suggestions, please post them in the comment section below or in the comment section on my YouTube video. In this live session, we will review and identify price levels to watch for the stock market indexes and their ETF. In addition, this week's video will also include BABA, MU, TSLA, NFLX, GOOGL, CRON, LVS & WYNN. In this live session, we will review and identify price levels to watch for the stock market indexes and their ETF. In this stock market update, we will review the stock market indexes and identify some key levels to watch for the coming week. In this stock market update, we will review the SP500, Nasdaq 100, Russell 2000, and the ETF SPY, QQQ, IWM. After reporting positive earnings last week, Tesla stock price is on the move again. In this video, we will review and analyze the latest Tesla stock price action. When Will Marijuana Stocks Get High Again? An update on CRON CGC & TLRY stock prices. Where are these marijuana stocks heading. The stock market continues its slide. In this video, we will analyze the indices and identify some key levels to monitor for the coming week. Today the stock market continues to sell off. Here are some levels to watch for the DJI, SP500, NDX, RUT, DJT. 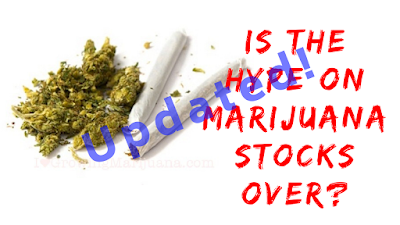 An update on the marijuana stocks discussed in previous video. CRON, CGC, TLRY. Is The Hype On Marijuana Stocks Over? Canada has legalized recreational marijuana use, and the widely anticipated pop on marijuana stocks didn't materialize. Is the hype over? In this video, we will take a look at 3 of the highly traded cannabis stocks; CRON, CGC & TLRY and see where they might be headed. The stock market remains in the downward bias. We will look at the price actions and see what are some of the key levels to watch for next week. In this video, we will look at the recent gold price actions and see if it is poised to go higher. Are Marijuana Stocks Getting Too High? In this video we will review these following marijuana stocks: TLRY, CGC, CRON, ACBFF & APHQF to see if they are getting too high or going up in smoke. How Low Will The Market Fall? 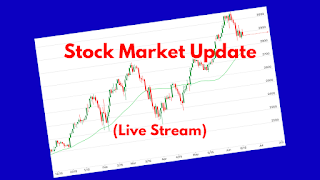 In this stock market update video, we will review the stock market indexes and identify some key levels to watch for the coming week. Emini closed with a poor low today. Here are some scenarios to watch for tomorrow RTH. Click here to video the video. The stock market continues its march to record high last week, will it continues to make new record this week. In this video, we will look at the price action and identify some possible scenarios for the coming week for the stock market and these stocks: ROKU, TWTR, BABA, and the VIX. Late on Friday night, Tesla tweeted Elon Musk has decided not to pursue taking Tesla private and it will remain as a public company. What will that do to the stock price when it open for trading on Monday? In this video, we will take a look at the recent price actions and identify some potential near term scenarios. After Tesla stock price made a recent dip below 300, it has bounced back above the 320 level. Will the stock price continue to rise? Here is one possible scenario that I'm watching. New All Time High For The Stock Market? In this video, we'll take a look at the stock market indexes, the FANNG and some notable MOMO & semiconduct stocks, and identify some key price levels to watch in the near term. In this video, we will look at Tesla's stock price actions and identify some key levels to watch for the near term. What Is The Next Play For Elon Musk & Tesla? A follow up on Tesla price actions since Elon Musk tweeted he is considering taking Tesla private, and some possible price levels to monitor. In this video, you will see how I was preparing to go long on Tesla before the news on Saudi Arabia accumulated a stake in Tesla, and before Elon Musk tweeted about considering taking the company private at a price of $420. 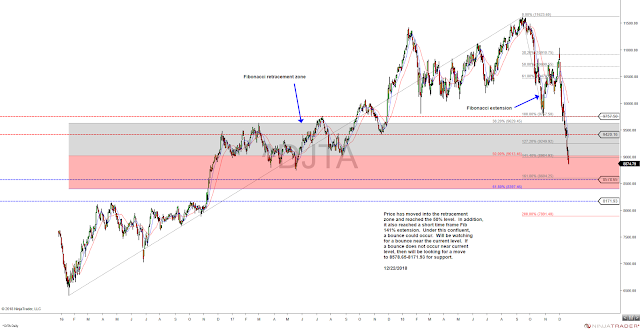 Some possible price action scenarios are presented for TSLA. In this video, we will look at the price actions of the FANG stocks and the indexes ETF. Stock analyzed: SPY, QQQ, IWM, FB, AAPL, AMZN, NFLX, GOOGL, TWTR. In this video, we will look at some semiconductor stocks for potential price action scenarios and how one might be able to identify possible trade setups. Another strong week in the market. In this video, we will look at the index ETFs: SPY, QQQ, IWM, the FAANG stocks: FB, AMZN, AAPL, NFLX, GOOGL, and TSLA. In this stock market update, we will review the stock market indexes, and analyze the FAANG stocks along with TSLA. In this stock market update, we will review the stock market and look at some of the levels the market has flagged to us to keep an eye on. Where's The Price Of Oil After OPEC's Decision? In this video, we will take a look at some possible scenarios on what the crude oil price might do in the near future. In this market update video, we will look at the index ETFs, the FAANG stocks, the following financials stocks that are scheduled to report earnings next week, BAC, GS, MS. and these MOMO stocks, NVAD, BABA, TSLA. In this stock market update, we will review the stock market index ETF and analyze the FAANG stocks for trade setup using technical analysis. In this video, we will take a look at some possible games the market plays on OpEx day using the SPY. 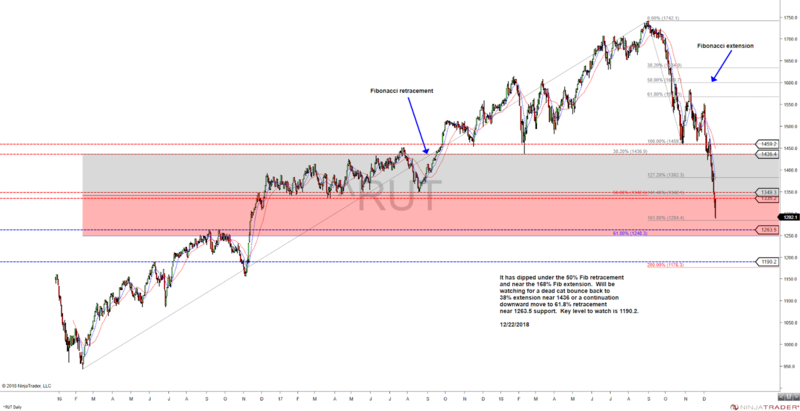 As the market continues to drop, here are some price zones/levels to watch for potential support. The market is expecting the FED to announce another rate hike in next week's FOMC meeting. What the market is waiting from the FED is the pace of future rate hikes. 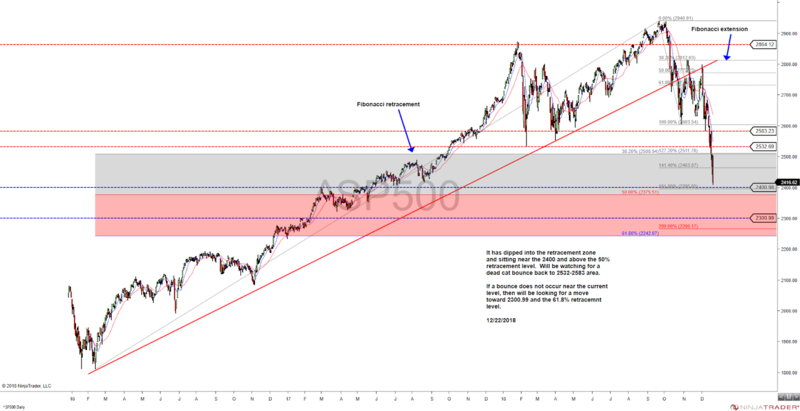 In this video, we will identify some potential price action scenarios for the market and some widely watched stocks along with some key financial stocks going into the FOMC announcement. The stock market had a nice bounce off the opening low after 3 consecutive down days. It rallied into the close during the last 30 minutes as OpEx approaches. Was this rally a short squeeze or simply a dead cat bounce from the recent selloff? 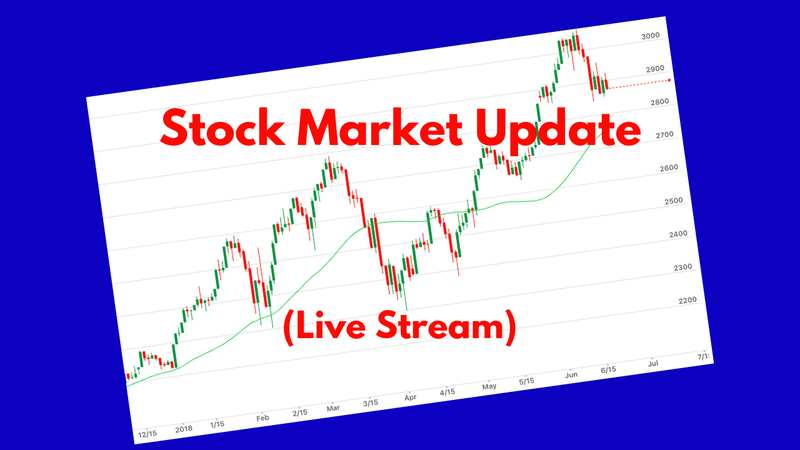 In this stock market update, we will review the stock market indexes, and analyze the #FAANG stocks for trade setup using technical analysis. In addition, we will also look at the price action from NVDA, BABA & TSLA. The emini SP500 futures broke away from the balance zone and moved up to a new all time high. In this Trading The Price, we will review the price actions and determine some possible scenarios for the next move from the market. Market continues to make new high and main street is beginning to join in the foray. In this Stock Market Update video, we will take a look at the market and see if there is anything that might dampen the enthusiasm. In this Trading The Price, we will review the SP500 emini futures for potential near term market directions. In this Trading The Price video, we will analyze FB price actions and identify possible setup for a potential trade for the coming week. In this stock market update, we will review the stock market indexes and analyze them using technical analysis technique to determine where it might be headed. In this Trading The Price, we will review the precious metals/gold mining stocks, and analyze them for trade setup using technical analysis technique. In this Trading The Price video, we will analyze AAPL & TSLA for trade setup using technical analysis technique, and take a look at couple trade ideas for these stocks. In this stock market update, we will review the stock market indexes.